Today's consumers are increasingly appreciating the quality of their food. In order to be able to guarantee this high quality standard, more and more Spanish asparagus producers in the important growing region of Extremadura are converting and professionalizing their production business. 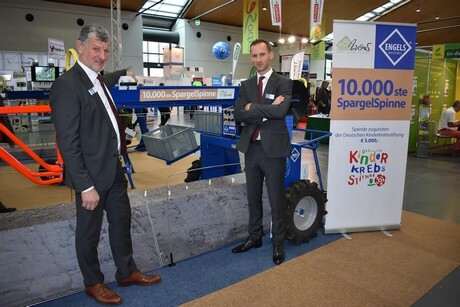 Accordingly, there are interesting opportunities for suppliers of high-quality harvesting technology, says Ton Smolders, spokesman for the Dutch company Engels Machines, whose Asparagus Spider is already in use throughout Europe. 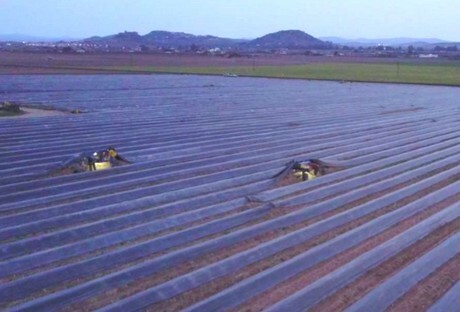 In the fields of Spain, the sun rises early in the spring: the rapidly increasing temperature during the day affects the quality of the vegetables and makes physical work more difficult for the harvesters. 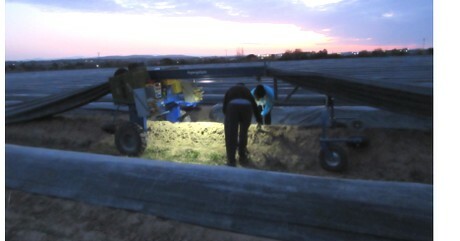 Therefore, people try to get the daily harvest done before sunrise, whenever possible. The Asparagus Spider is a modern and indispensable help there, claims Smolders. The machine is suitable for foil management and simplifies transport on the field. During nocturnal harvesting, the machine also provides a light source. "The optional mounted LED bulbs turn night into day and at the same time, early harvesting prevents the asparagus tips from pressing against the foil, which can cause it to get burnt to or get a blackened tip." What is crucial to end up with a quality product are homogeneous and moist asparagus beds. In order to ensure a good water supply, large parts of the areas are equipped with drip irrigation units. The irrigation hoses lie on the asparagus beds, so that the water penetrates evenly into these. "During the harvest with the Asparagus Spider, the foil is raised only when the plants are actively being harvested, avoiding evaporation of soil moisture, which makes drip irrigation in combination with the Asparagus Spider a very efficient system. The quality of the white asparagus is always paramount," says Smolders. The management of the Engels company at last year's ExpoSE in Karlsruhe, where the 10,000th Asparagus Spider was sold.